Calling all my Lovely Crafters!! Have You ever made any of my DIY crafts or used any of my Free Vintage Clip Art on any kind of Project, Blog or Website? 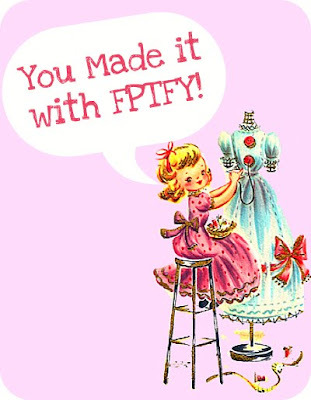 You Made it with FPTFY! Your projects will then be featured Here! Cant wait to see all your Pretty Creations!! I haven't yet, but I am hoarding them like crazy, and plan to in the near future! I love them! Hello there….this is cuteness overload. I love your freebies. I so loved it that i had to feature it in my blog for the world to see. Thank you so much for sharing. i love your site….thanks for all the freebies love them…. Just wanted to say thanks Keren! Thanks for all the Free Pretty Things! Thanks for helping out with Shabby Blogs to give us more free stuff! I don’t know how we managed having a blog before I found you! Hi again Keren! I know this is an older post but I have been on your blog for a while today just browsing all the wonderful things you have shared. It has been overwhelming in the best way possible. Your generosity & ability to share with us all is truly terrific. I will have to get motivated to start printing the freebies & working with them. I do not have a blog nor a website. But I do make my own art using old vintage graphics. How do I share them with you folks? Grazie anche per tutto questo! Sei fantastica! I recently added some of my creations using your awesome freebies to the flickr group! Or at least I think so…it seems they are still awaiting your approval. I had so much fun with them! YAY for cuteness! I posted my banner(to your Flickr), using your chalkboards, but I redid them today because I like the look of having the Turquoise/ aqua chalkboard first. How do you like it? I just joined your Flickr group as I have made several things using your free clipart and I wanted a place to show you what I made! This is a great idea and I love the photos posted there. I LOVE all of you art and clipart and freebies and keep downloading them in the hopes I will make something! Cant wait to see them my dear!!!!! :) XOXOXOXO!! Not very at doing post like this but I have printed and use some of your pictures for my grandchildren. I use them to decorate areas in my house that needs some color. And it sure brighten up my book shelves. Your pictures are beautiful and without you site I would not be able to do my cute cards for my family and friends. I enjoy doing them so much. So Thanks. awww Sharon! This made my day!!! Thrilled you are able to use them!!!!!!! Its readers like you that keep my site going :) !!!!XOXO!! !